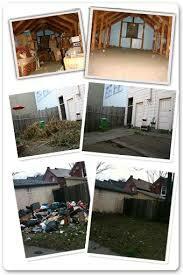 Kelowna Junk Removal – Looking to Sell? Check Out Our 10 Secrets to Selling Your Home FAST! Spring always seems to provoke alot of movement.. Almost like the slight warmth and reappearance of the sun makes us want to redecorate, re-clean or re-locate. If you’re looking for the latter part, don’t miss our 10 Secrets to Selling your Home… It might just get you up and on your way just a little bit faster..
One of the most important things to do when selling your house is to de-personalize it. The more personal stuff in your house, the less potential buyers can imagine themselves living there. Get rid of a third of your stuff – put it in storage. This includes family photos, memorabilia collections and personal keepsakes. Consider hiring a home stager to maximize the full potential of your home or simply hit up google or pinterest to get some inspiration. Staging simply means arranging your furniture to best showcase the floor plan and maximize the use of space. If you are looking to sell your home and you’re thinking it could use a little de-cluttering, de-junking, or de-funking… Don’t forget to give Dump It! 365 a call at 250-807-7772. We can help clear out the what you don’t need so you are on your way to selling and moving faster! Happy Selling!